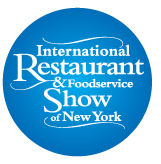 The NY Restaurant Show — also known as The International Restaurant & Foodservice Show of New York — is New York's only event exclusively serving the restaurant and food-service industry. "This is a must-attend event for anyone involved in the restaurant, food-service or hospitality industry," remarked the show's organizers of the yearly affair. The event was held Sunday, March 3 through Tuesday, March 5, 2018, at Jacob K. Javits Convention Center Manhattan, promised to be the biggest and best ever. The event featured more than 550 vendors, plus live culinary demonstrations and competitions, educational sessions, and special features including the Taste NY & Craft Beverage Showcase, Be Italian, The Pub, and the all-new Healthy Pavilion. It also featured a Farm to City Expo, this year highlighting local wild-caught seafood and shellfish aquaculture. Sponsored by The New York State Department of Agriculture and Markets, a panel headed up by moderator August Ruckdeschel discussed commercial fishing challenges and opportunities in the local area. The panel featured Ruckdeschel, an agricultural and marine economic development specialist, with fellow panelists Peter Haskell, owner of Haskell's Seafood, Chris Quartuccio, founder of Blue Island Oysters, and Bonnie Brady, president of the Long Island Commercial Fishing Association. Also joining Haskell, Quartuccio, Brady, and Ruckdeschel were fellow moderator Michael Ciaramella, a seafood safety & technology specialist, Donna Lanzetta, founder & CEO of Manna Fish Farms, Sean Barrett, co-founder of Dock to Dish, and John Ng of Hudson Valley Fish Farms. Of the event, Ruckdeschel commented, "The panel was an opportunity to remind people in the industry that the United States has the best-managed fishery in the world and that we all need to work together to leverage that competitive advantage to support local fishermen and local fisheries." The recent 2018 Farm to City Expo saw at-length discussion of locally-produced seafood, with the goal of connecting New York State's wild caught harvesters and aquaculture producers with restaurant and food-service buyers. "There are people in the room working to manage sustainable fisheries. There are different people in the room working with industry leaders to create new markets and marketing devices to advance the economic viability of wild harvest and aquaculture fisheries. There are nonprofit organizations in the room looking to improve access to affordable, nutritious, and healthy foods. Sustainable but underutilized species like porgy, spiny dogfish and bluefish offer an opportunity to advance all of these important causes in ways that maximize the use of a renewable and under-appreciated resource. How can we work together to create markets and distribution channels for these species?" asked Ruckdeschel. The event spotlighted the area's growing oyster industry and in particular the industry's participation in the New York State Grown & Certified marketing program, which promotes growers who adhere to higher food safety and environmental standards. The event was sponsored by the New York State Restaurant Association and produced and managed by Clarion UX. 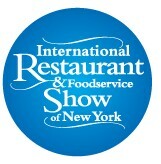 To find out more about The NY Restaurant Show, visit https://www.internationalrestaurantny.com.